The financial services which the Passion group intends to serve, is completely based on the investing capability and appetite of business partners or end customers. As a result of this, variety and diversity of offerings do matter. 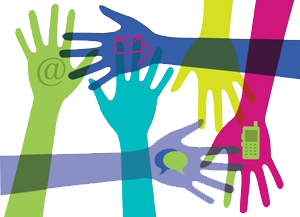 The products and services offered by the Group cater to wide demographics. There are personified products for customers with varying investment capability and risk taking appetite. The Group is one of the most renowned and celebrated brokers in the stock market trading in Bombay Stock Exchange (BSE) as well as the National Stock Exchange (NSE). Apart from that they also are members of Mcx, Ncdex etc. all of which provides customers a wide pool of options to choose their portfolio and minimize the risk factor. “Higher the risk, higher the return” is one of the most clichéd terms used in the stock market arena. 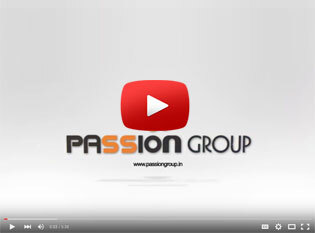 The Passion group, owing to its state of art research and analytical tool and techniques, aims to show to its customers that it is possible to earn substantial returns on investment without taking much risk. The research wing of the Group is equipped with one of the best talents of the industry who analyses the various trends and seasonality in stock pricing movements and recommends accordingly to customers. Customers are consulted and advised based on their risk taking appetite. After getting an insight on the investment needs and expectations of the customers (long term vis-a-vis short term), a holistic research on the market movements are performed and based on the forecasts and sentiments of the market and industry sectors, a true picture is provided to the customers. The Group has instated a Risk Management Cell which governs and tracks the movements of stocks and portfolios, so that the customers could be kept informed on the latest updates about the progress of their funds. The commodity market is one of the most upcoming markets in the financial industry. More and more customers are looking up to the commodity market because with intensive market know-how, customers can earn substantial revenues with nominal investments. Hence, the risk factor in this market is considerably low as compared to equity or debt markets. 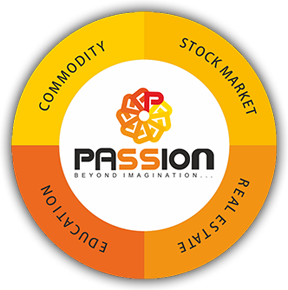 The Group understands the criticality of this market and in order to leverage or make the maximum out of the growth opportunity, they have set up the largest subsidiary – Passion Commodities Pvt. Ltd. This fully owned subsidiary is a full time elite member of a plethora of options – like MCX, NCDEX, NSEL to name a few – and hence provides its customers a wide variety of options to create their portfolio. The team of financial consultants and experts recommend their customers in such a way that the risk factor is diverted or distributed towards a variety of non-correlated or negatively correlated assets so as to offset the risk quotient. The Currency Market is one of the most difficult markets to muster, because the currency price movements are governed by several macro-economic factors such as interest rates, inflation, political sentiments and many more. Many a times, it depends on foreign transactions as well – in terms of FDIs and FIIs. Thus, the need for expert advice or opinion is the maximum in this arena. The Passion group have currency market veterans in their consultant group who analyses and gauges the political sentiments and international relationships & trade, and its impact on the currency fluctuation of a particular nation. The team of experts guide prospective customers on the hot currencies of the time, and helps them create a portfolio to minimize risk and at the same time, maximize returns. Derivatives, as the name suggest, are not products per se. They derive value from underlying products or assets which may be stocks, currency, commodities or many more. Thus, in order to excel in the derivatives market an in-depth know-how on the trends and patterns of the asset products, and their correlation with other asset products is a mandate. The Passion group have sophisticated machinery in place, governed by best in class experienced talent who gauges and analyses the price movements, and the effect that a particular asset price has on another. Based on their findings, the customers are given a true picture on the assets to consider, and the assets to avoid for the particular time being.